London, 1929. Joseph Waite is a man who knows what he wants. With his Havana cigars and Savile Row suits, he is one of Britains wealthiest men. And the last thing he needs is a scandal. When his eighteen-year-old daughter runs away from home, he is determined to keep the case away from the police and the newspapers. 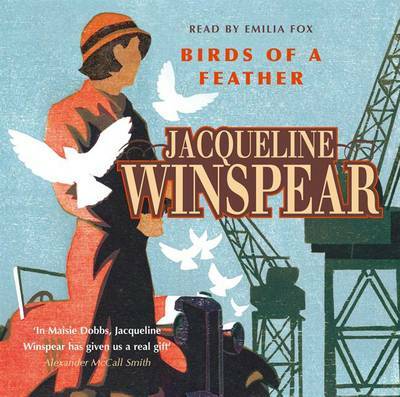 So he turns to a woman renowned for her discretion and investigative powers the extraordinary Maisie Dobbs. Immediately sensing the tensions pervading the Waite household, Maisie soon discovers that there are many reasons why Charlotte might have left home. Instinctively Maisie feels that Charlotte is safe. Yet, suddenly, she finds herself confronting a murder scene ...With wonderful characters and a page-turning plot, Birds of a Feather is a brilliant mystery. Fans of Maisie Dobbs will be delighted to see Maisie's stunning perception and sleuthing abilities back in action, while the emotional heart of her second mystery will appeal to yet more fans.